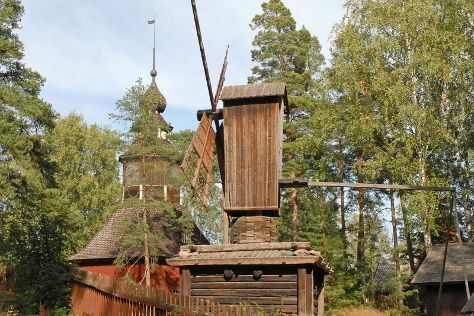 Get a sense of the local culture at Seurasaari Island and Open-Air Museum and Okra. For shopping fun, head to Hakaniemi Market or Stockmann's Department Store. There's still lots to do: admire the masterpieces at Kansallisgalleria, look for gifts at Taiga Colors, soothe aching muscles at some of the top local wellness centers, and take a stroll through Ullanlinna. For photos, ratings, other places to visit, and other tourist information, read Helsinki road trip planning tool . The Route module shows you all the different ways you can get to Helsinki. In July, plan for daily highs up to 25°C, and evening lows to 15°C. Finish your sightseeing early on the 3rd (Wed) so you can drive to Porvoo. Eschew the tourist crowds and head to Stromforsin ruukki and Arboretum Mustila. For shopping fun, head to Riimikko or Pieni Suklaatehdas. 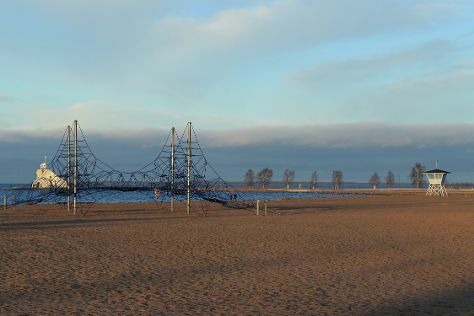 Get out of town with these interesting Porvoo side-trips: Kotka (Riverside Park, Linden Esplanade, & more), Hiidenvuori (in Iitti) and Valkmusa National Park (in Siltakyla). Spend the 8th (Mon) exploring nature at Repovesi National Park. There's still lots to do: make a trip to Porvoo Old Town. To find photos, maps, traveler tips, and other tourist information, refer to the Porvoo holiday planner. Traveling by car from Helsinki to Porvoo takes an hour. Alternatively, you can take a bus. July in Porvoo sees daily highs of 24°C and lows of 15°C at night. Wrap up your sightseeing on the 8th (Mon) to allow time to drive to Jyvaskyla. Jyväskylä is a city and municipality in Finland and in the western part of the Finnish Lakeland. Eschew the tourist crowds and head to Pyha-Hakki National Park and Ahtari Zoo. Take a break from the city and head to Leivonmaki National Park and Nyrolan luontopolku. To find photos, more things to do, ratings, and other tourist information, you can read our Jyvaskyla travel planner . Getting from Porvoo to Jyvaskyla by car takes about 3 hours. Other options: do a combination of bus and flight; or do a combination of bus and train. Expect a daytime high around 24°C in July, and nighttime lows around 12°C. Finish up your sightseeing early on the 11th (Thu) so you can go by car to Oulu. Oulu is a city and municipality of inhabitants in the region of Northern Ostrobothnia, Finland. Start off your visit on the 12th (Fri): see the interesting displays at Raahe Museum, look for gifts at Luovon Puoji, and then kick back and relax at Nallikari Beach. On the 13th (Sat), you'll have a packed day of sightseeing: browse the eclectic array of goods at Kauppahalli, take in the exciting artwork at Pohjoisen Valokuvakeskus, then catch some excitement at Oulu Climbing Centre, then pause for some serene contemplation at Haukipudas Church, and finally look for all kinds of wild species at Hupisaaret Park. To see photos, where to stay, other places to visit, and tourist information, you can read our Oulu trip itinerary maker . Traveling by car from Jyvaskyla to Oulu takes 4.5 hours. Alternatively, you can fly; or take a train. July in Oulu sees daily highs of 23°C and lows of 14°C at night. Wrap up your sightseeing on the 13th (Sat) early enough to travel back home.